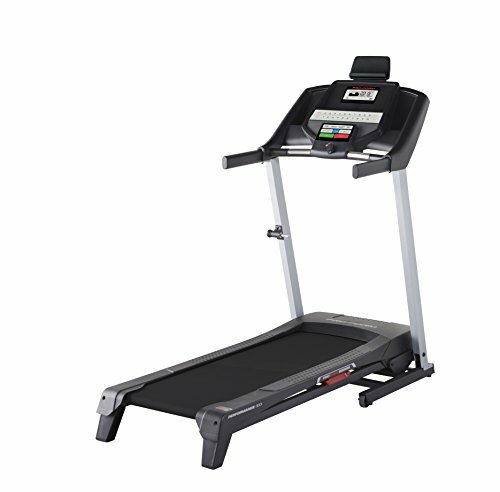 The ProForm 300i is a decent little treadmill, though it is one I would not recommend for most users, due to low warranty and limitations on how much you can actually do. Something like the NordicTrack T 6.5S would be a better alternative because it’s very similar in capability, and has more reliability and a much bigger warranty coverage. If you can afford to put a little more in to the treadmill, the NordicTrack c990 could also be a great choice. The 300i does a great job of being a basic home treadmill, appropriate for beginners. It has a small footprint and doesn’t cost much to buy, making it ideal for beginners and home users. It also has a lot of training options and some nice features for entertainment. Let’s take a look at how other places have reviewed it before we break it down into a bit more detail. Incline goes up to 10% for hill walks etc. ProShox cushioning system is great for protecting your joints, allowing you to work out without putting much strain on your leg joints. Compatible with iPods and other mp3 players, complete with built in speakers. Has an easy lift system built in, so folding and moving the treadmill is very simple to do. Tablet holder is attached to the treadmill, giving a safe and convenient way to keep yourself entertained during runs. You also have the ability to plug your tablet in to the fitted sound system via an aux cable, so you can hear your choice of show/video without needing headphones or anything. iFit compatibility is included and means you always have new workouts to do. Large LCD display included for the console. Comes in a the lower end of the price range even for budget treadmills. Quite small even for a home treadmill, with a belt length of only 50” and a width of 16”. The motor for this treadmill can be quite noisy. Low warranty with only 90 days cover for parts and labor, while the frame and motor both receive 5 years of coverage. Speed is limited to only 10mph at the highest. There isn’t any option for custom workouts or saved settings. With 16 workout programs already pre-installed and the option to use iFit, there’s a lot of variety available with this treadmill. You can choose a workout based on your own goals and aims. Speed and incline are both adjustable too with the buttons located on the arms of the treadmill, making them easy to access and use. Having the iFit compatibility is the real prize winner in this area though. Using iFit allows you to use a near endless amount of workouts, some of which have instructional videos done by top fitness experts included. iFit also lets you do ‘virtual runs’, using google maps to complete pretty much any route you want to. A decent amount of incline allows quite a lot of versatility with the google maps runs as well. Speaking of the incline, the ProForm Performance 300i goes up to 10%, which is considered a decent standard in the world of home treadmills. 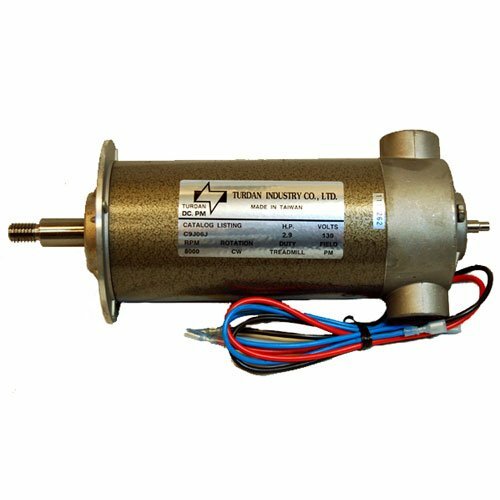 The incline motor is also quite reliable and benefits from the same 5 year cover that the main motor does. The main motor used to power the belt is a 2hp CHP motor, covered with a 5 year warranty. This motor might be a little loud but it doesn’t seem to struggle at all, even with a full 10mph run lasting an hour, the motor stays smooth and doesn’t seem to struggle or shudder. In fact, I believe they could have squeezed a little more speed out of this motor, though that would probably have meant losing the smooth operation or even affecting the durability of the motor itself. The built in sound system is a great touch for a home treadmill. Being a home treadmill means you don’t need to consider other users and gym goers, so playing music through speakers is a great feature to have. After all, nobody wants to be restricted to earphones in their own home, right? The sound system is pretty good quality for one fitted to exercise equipment. Obviously it won’t stand a chance being compared to actual high end sounds systems, but as an extra to a piece of home exercise equipment, this system is a really nice touch. Anything with an aux cable can be plugged into this ProForm Performance 300i and the sound will play through the speakers for you. That’s great news for music lovers! It isn’t only music lovers who benefit here though. There is an attached tablet holder included as standard, which does a great job of holding a tablet safe and secure while you run. Not only can you watch whatever you like thanks to this, you can also still plug in the aux cable and play sound through the treadmill too, so again there’s no need for earphones. Having the option to play through the treadmill also lets you listen to the sound at a louder volume than most tablets could manage through their own speakers. The LCD display for the console is large and easy to see as well, with all of the relevant information available at a glance. If space is an issue for you, this treadmill is perfect. It has a belt size of 50”x16”, a little smaller than the average treadmill. ProForms’ 300i treadmill also easily folds vertical, thanks to its own easy lift system. Having this system takes most of the weight off the user so even smaller users can fold/unfold it with ease. It has a very small footprint and can be conveniently stored once folded. One of the main benefits behind a treadmill is being able to remove stress and impact from your leg joints. The 300i treadmill does this well with Proforms patented ProShox cushioning system. This system uses air cushions underneath the belt of the treadmill to absorb some of the shock. That means your body and legs have less shock to absorb, and less strain. This type of design is great for joint health and can help you to train more while limiting strain on your legs. That’s a very useful feature for people with pre-existing joint problems. It’s also great for heavier users because this stress-reduction prevents a lot of wear and tear. Protecting joints in this way allows heavier users to train more, and harder, giving more potential for results. Buying a ProForm Performance 300i Treadmill is a great choice for many home users simply because of how cheap it is. There aren’t many options at this price range, unless you’re willing to go for absolute bare-bones treadmills. By barebones, I mean those without a display or even a motor. Having a good quality motorized treadmill at this price range is tough to do. With that in mind, ProForm have done a good job with it and kept the price low. If you’re interested in what other cheap options are out there, check out our best treadmills under $1,000. Firstly there’s the incline, which was already mentioned as a positive. That’s because it goes up to 10%, which is great, even though some treadmills can go higher than that. The bigger issue is that it doesn’t go below 0 at all, there is no negative incline! For a treadmill that comes with iFit compatibility, this is very limiting. Think about it – when you do a simulated run from Google maps, there are uphill AND downhill sections. Having no negative incline means you won’t actually be able to do the downhills. Instead, you will have to run it as a flat section which is quite frustrating. On top of that, the speed caps out at 10mph. That’s a fast jog for most people, rather than a sprint. For a beginner to this is plenty of speed, but over time it will be limiting. That could mean you need to change your machine for a decent workout. Other options would be to hit the outdoors for a proper run, or make the treadmill tougher by using a weighted vest, ankle weights, or other tools. Part of the space-saving design is the treadmill belt only being 50”x16″. This is quite small even for a home treadmill. Losing the extra few inches in all directions can make ProForms 300i a bit awkward or even uncomfortable for larger users. Having a big stride length or being tall could be a problem, because this doesn’t have enough length for large strides. The faster you run, the larger your strides usually get as well. Because of this you could be limited in how fast you can run. That isn’t actually that big a problem just because the 10mph limit stops most people from really sprinting anyway. Warranty is very important with expensive items. Home exercise equipment is going to be subject to a lot of use and wear, so it’s even more important here. ProForm have only provided a 90 day warranty on parts and labor for this treadmill though, which isn’t much. Thankfully the frame, deck and motor all receive 5 year cover, which does give some peace of mind. However, keep in mind that after 90 days, it’s on you to pay for any labor & parts. That means despite being a cheap treadmill to buy, this might not be the most cost effective choice. The ProForm Performance 300i Treadmill is a great budget home treadmill that can work well for beginners and intermediate users. You need a treadmill with more advanced features to go past this level. That means the 300i could become redundant and no longer useful. It’s ideal for beginners because it has such a low cost and is easy to use. The low warranty could also be a risky factor for some users.